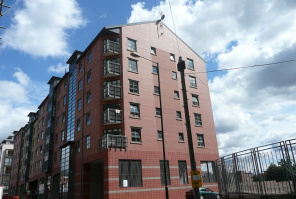 George Adams Estate Agents are proud to present for sale this fifth floor, two bedroom apartment situated in the Lamba Court development in Salford. The property comprises an open plan kitchen and lounge area, two spacious double bedroom, one with ensuite and modern bathroom. 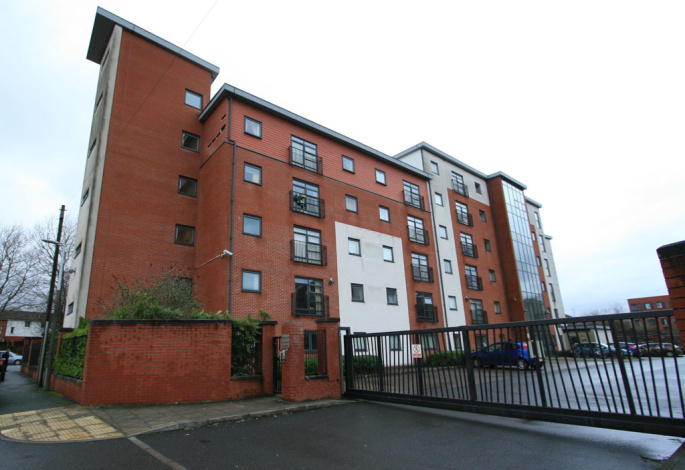 It also benefits from a secure gated parking space and double glazing. 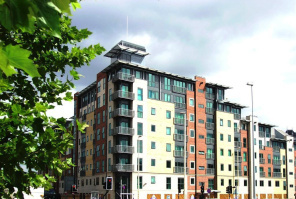 The apartment is within walking distance to Salford Quays, Exchange Quay Metrolink, Deansgate Locks and the Sainsbury's. 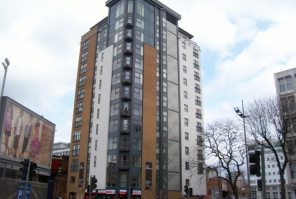 Excellent location close to the M602. 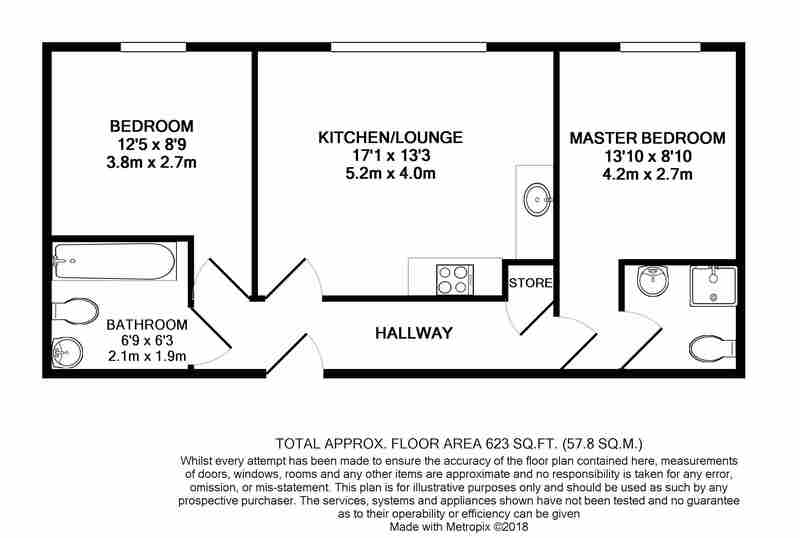 Laminate Floor, Entry System, Electric Heater, Fuse Box, Adequate Power Points, Sockets and Switches, Smoke Alarm, 2x Ceiling Light Point, Vent Axia Extractor Duct, Storage Cupboard with Washing Machine Point and OSO immersion heater. Laminate Flooring, 2x Ceiling Light Point, Adequate Power Points, Candy electric Oven. Electric Hob, Stainless steel extractor Hood, Stainless Steel Sink and Drainer, Selection of White base and Wall Units with Grey Worktop, Electric Heater, UPVC Double Glazed Window to Front Elevation, TV Point, BT Phone Point, Smoke Alarm. UPVC Double Glazed Window to Front Elevation, Adequate Power Points, Electric panel Heater, Ceiling Light Point, TV and Phone Point. 3-piece white bathroom suit comprising: Electric Shower, hand wash basin with pedestal, WC with Push Button Flush, White Tiled Splashback, Ceiling Light Point, Extractor Fan, Chrome Heated Towel Rail. Ceiling Light Point, Sockets and Switches, Adequate Power Points, Electric Heater, UPVC Double Glazed Window to Front Elevation. 3-piece white bathroom suit comprising: Bath with Panel, hand wash basin with pedestal, WC with Push Button Flush, Glass Shower Screen, White Tile Surround, Ceiling Light Point, Extractor Fan, Chrome Heated Towel Rail.